Recently, one particular gauntlet was thrown down by an unlikely challenger, and it was a weighty one at that. About a month ago, Xcel Energy became the first major utility in the United States to commit to providing 100% carbon-free energy to its customers by 2050. I’ve never known anyone to own a pair of gauntlets, much less wear them. I’m guessing it has to do with the fact that heavy metal gloves don’t serve much of a purpose in modern day society. Maybe some aspiring knight is roaming the English countryside while sporting a pair, but I’ll probably never meet the chap. Too bad. That said, the expression “throw down the gauntlet” persists in our common language. It means to issue a challenge to someone, referring to the medieval practice of a knight tossing a gauntlet at the feet of an opponent he wished to confront. That practice then evolved to using gloves as a way to initiate pistol duels, and I like to think that it continues today in the form of hockey players getting into fisticuffs. Recently, one particular gauntlet was thrown down by an unlikely challenger, and it was a weighty one at that. About a month ago, Xcel Energy became the first major utility in the United States to commit to providing 100% carbon-free energy to its customers by 2050. Here’s a link to information about the commitment on their website, and another link to Greentech Media’s article about the pledge. I have a few observations. First is that it’s about dang time we saw a utility thinking this way! Anyone who looks at the current business model of utilities must be a bit concerned, especially in light of our changing climate. Here, finally, we have a utility publicly declaring how much transformation we need from them. I hope more follow suit. Second, I don’t love that the goal is carbon-free energy. I would strongly prefer renewable energy, as I’m not in favor of nuclear power in general. But I won’t complain too much in this space, as nuclear is still better than fossil fuels, and their plans don’t call for additional nuclear capacity. They’ll maintain current nuclear plants while investing new dollars in renewables. Lastly, I applaud that they have set an intermediary goal of 80% carbon-free by 2030. It is an ambitious goal in its own right, but also one that they can see their way through to achieving. They admit that they don’t currently know how to achieve the last 20%, but they took the pledge anyway. More companies should be willing to make pledges, even if they have to figure out along the way how the goals can be achieved. To be clear, the pledge wasn’t actually a challenge that Xcel was issuing to any other utility. I just want to think of it that way. When Ray Anderson declared that Interface would pursue environmental sustainability, he wasn’t challenging his competitors – he was just doing the right thing. After he proved that sustainability was good for business though, his competitors had to catch up all the same. Here’s hoping that Xcel Energy is just as impactful. This blog is also available via email subscription. 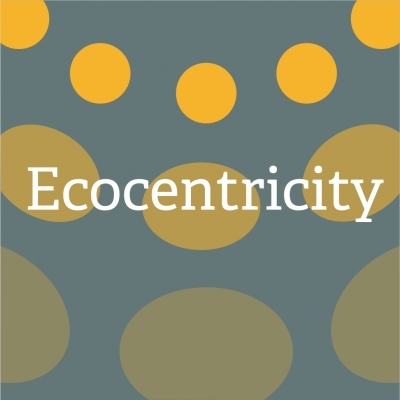 Click here to subscribe and to receive Ecocentricity automatically every Wednesday morning via email.